In this interview, Torben Kaas, co-founder of the Green Key ecolabel, tells us about his experience of promoting sustainable tourism among hotels in Denmark and later worldwide. 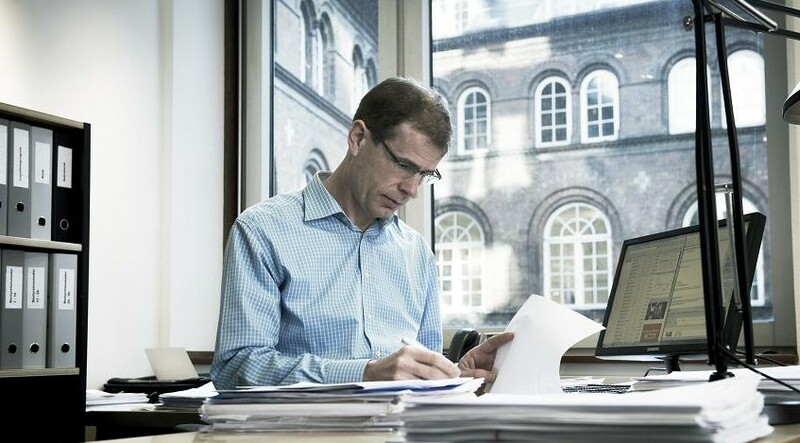 A chemical engineer by training, during 1997 – 2006 Torben helped the Danish Hotel, Restaurant and Tourism Association (HORESTA) set up an environmental management system for tourism businesses, which led to the three pillars of the Green Key scheme: environmental management, hard environmental criteria, and environmental training. The three pillars of the Green Key scheme are environmental management, hard environmental criteria, and environmental training. In the past, hoteliers have often insisted on not tampering with the service level in terms of bath tubs, long showers, lights and comfort. Now, hoteliers want to work on their environmental and social impact and to market this to their customers. Tourism is an international business and customers need to be able to experience an environmental label that they know from back home. Torben, what was your view of sustainability and tourism when you started your career? I found sustainability a hard case. Tourism businesses do – compared to industrial businesses – not have such a large environmental impact. Also, in tourism, service comes before anything else. The hoteliers insisted on not tampering with the service level in terms of bath tubs, long showers, light and comfort. It was, in other words, hard to find some real potential for reducing the environmental impacts. But in the late 90s, there was a sense of pioneering when it came to tourism and environment, and a large group of the more dynamic hotels really wanted to work on their environmental and social impact and to market this to their customers. They gave us the first important successes. Now in 2015, what has changed? But this has also led to a much more professional handling of environmental issues at the businesses. Today, sustainability is not just a marketing issue like it – in some cases – used to be, but also hard daily work to keep expenses on energy, water and waste down. Your key insights as a leader in the sustainable tourism field? The importance of never forgetting who your customers are. For an ecolabel like Green Key, this means to keep contact with the managers at the tourism businesses, have a dialogue with them before changing criteria or services, understand their needs. Tourism businesses all have a genuine interest in doing the best for the environment, but you lose them easily if you do not understand who they are and what they need. At an early point it was clear that much more could be achieved by working with the large hotel chains, instead of the few small and 100 percent environmentally committed hotels. Another insight was the need to accept criticism for labelling large luxury hotels with energy-intensive services. That was where the potential was. And I have to mention the need to keep focus too. We’ve had a hard time defending Green Key’s three pillars (environmental management, hard environmental criteria, and environmental training). From time to time, we experienced strong pressure to solve other problems by introducing criteria on animal welfare, food safety, child labour, or other things. These are all important subjects, but trying to accommodate all of them makes it unclear what Green Key is all about. Keep focus and make changes only slowly and after thorough consideration. Where do you see the main challenges for sustainability in travel and tourism? In terms of ecolabels and certifications, it is a great challenge that many very simple systems, often with only self-control, are being launched by large players, such as tour operators, hotel associations and NGOs. At the hotel or destination, it is very difficult for customers to know if the hotel manager merely had to improvise answers to a couple of questions in an email questionnaire to get the green diploma, or if it is a real programme with real content and external audits, like Green Key. Where are the main opportunities? The main opportunity for Green Key is to maintain the success and grow enough to reach a critical size. Tourism is in its nature an international business, and customers need to be able to experience an environmental label that they know from back home. To be the main partner for some of the largest hotel chains and tour operators, we need to be in many countries with many hotels, camping sites, restaurants, and other tourism facilities. Green Key has that potential. We are in nearly 50 countries with more than 2.400 labelled businesses. The main opportunity is to reach a size where we can make a real difference for the largest players, helping them to reduce their environmental impact. And we are almost there already today. What advice would you give newcomers to sustainable tourism? Take a pragmatic view on environmental issues. Begin where you see a direct environmental as well as economic advantage for the businesses. Remember that service and customers are everything to tourism people and respect that. In your view, which are the best ways to measure the success of sustainable tourism initiatives? Size does matter, and you can measure your success as an ecolabel in numbers of countries and labelled businesses. You need to be ready to get dirt on your hands and work with the large players that consume much energy and resources and produce much waste. Success means making a difference in terms of reduced consumption and emission – not to just work with the ones who have already seen the light and do everything in an impeccable way. As one of the founders of the Green Key Eco label, what made you start this initiative? To work with green tourism, you need to have a personal interest in our common environment – and I do have that. But besides from that, it was also a strong wish of my employer, the Danish Hotel, Restaurant, and Tourism Association, that we established something like the Green Key. Sensing your employer’s strong wish is as strong an incentive as it gets. Because we were a business association, we needed to get an NGO on board to help us do things right, but also to give us some credibility which a purely business-driven label could never have. So, together with the Danish Outdoor Council and eventually the Danish EPA, Green Key was established as a credible label offering real value to businesses. Which part has been the hardest in getting Green Key established? It is not too difficult to start an initiative like an ecolabel in your own country. The hardest part was without doubt to take The Green Key abroad. Every country, every partner, and every labelled business have their own perception of what Green Key is and how it should evolve. Communicating the concept, keeping Green Key together – and everybody happy – was a much larger and more difficult task than I anticipated. Which achievements at Green Key are you most proud of? Green Key is now present in many countries and types of businesses. Being that without losing the identity of Green Key is a huge achievement, and we must thank the international coordination and the national operators of Green Key for this. They have fought countless battles to keep things straight and to explain what we are, over and over again. Connect with Torben Kaas on LinkedIn. Our interview with Torben Kaas was facilitated by Green Key International as part of a special series of interviews. Learn more about Green Key and the Foundation for Environmental Education. Enjoyed our interview with Torben Kaas on Green Key and the challenges of building an international ecolabel? Spread the word!